Well kids it's about that time to start airing those uber cool talent shows that give people instant stardom. If you said "Star Search" you need to crawl back into your time capsule and lock yourself back in until 2112 (Uh...that was a pretty cool Rush reference I must say). What I am talking about is the next seasons of the newly rivaled vocal competition shows, created by none other than Mr. Simon Cowel himself, "The Voice" and "American Idol". Okay so I failed to mention the other one who recently thought it was a good idea to enlist the trash talking Disc-Jockey Howard Stern, "America's Got Talent." You may be asking yourself why I left off AGT? Well I don't think a show comprised of advanced baboons making fools of themselves is that remarkable. Besides, Great Brittan discovered Susan Boyle and we have...Well I can't really recall our AGT super star, so what does that tell you? So that being said, there is a lot of interesting stuff brewing between the top two talent shows (The Voice and Idol) that have made some headlines in the last couple of weeks. 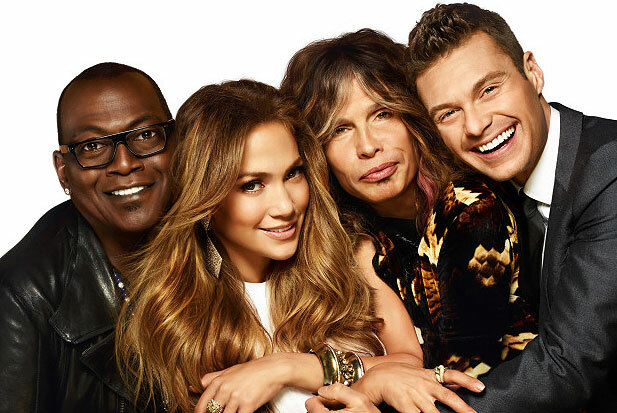 Some of the friendly rivalry started last year when "Idol's" veteran judge, Randy Jackson made remarks about how The Voice was the second chance stop for failed artists (Retrieved from http://www.huffingtonpost.com/2012/02/22/american-idol-the-voice-feud_n_1294084.html on August 3, 2012). That comment set "Voice" judge Adam Levine off on a verbal slap back that sparked the match for a fun little feud. As the words continued to fly, the networks have capitalized on the fun "smack talking" and have done a great job in marketing the shows as competing for the number one slot. The voice retains their judging panel, as questions continue to surface as to, which celebrity artists will accompany long standing judge, Randy Jackson for season twelve of Idol. The heated competition for ratings dominence may help with either two programs chance of obtaining the title of "Greatest Talent Competition in the 21st Century." Only time will tell. Some people question the impact and power of "Idol"-now entering it's 12th season- competing with the fresher more dramatic "Voice." "Idol" has blessed the musical world with artists such as, Kelly Clarkson, Carrie Underwood, Scotty McCreery, and the most recent Mumford and Sons wanna be, Phillip Philips who won last season. Phillips single "Home" has been the theme song for the 34th Olympics, brining him some needed royalty cheddar. Adam Lambert was up there too, but his whole boy kissing fiasco on the AMA's didn't sit right with viewers and network CEO's so, he's kind of having to work a little harder. Oh, and before I get a bunch if haters, I really like Phillip Phillips song, so don't kill me on my last comment about his single. 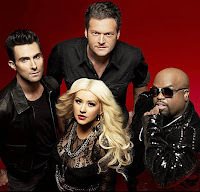 Anyhow, "The Voice" season three is scheduled to hit NBC September 10th. "Idol" will be ushering in the new year airing all the funny audition footage beginning in January 2013. No matter which one you choose, both shows offer driven people to reach their goals and live out their passions and dreams. Personally, I'm a fan of The Voice and I also really enjoy the quality time with my beautiful, amazing, smart, incredible...okay sorry I was having a moment there. Where was I...oh yeah...with my girlfriend watching Idol and reminding me how Adam Lambert's devastating cover of Johnny Cash's "Ring of Fire" was original and inspiring.